The office has been playing Sims since it very first came out. We initially had it installed on the computer in our lobby with team members coming through updating their people in the game. We learned though that if you don’t keep an eye on things, you can come back to a Sim standing on the street because they burned the house down. Not kidding, we kept loosing our possessions because we couldn’t be pro-active in their lives. 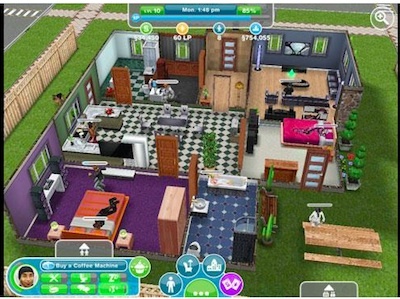 When Sims came to the mobile world, problem solved! 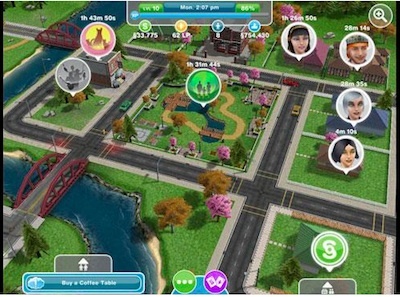 Now, there is even a ‘free’ version of the Sims game for the iPad (universal, works on your iPhone too). While your able to enjoy the Sims world, and all of the fun game play for free, there are abilities you can in-app pay for (Simoleons and Life Points).